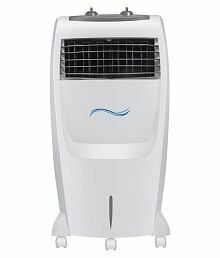 Here are top selected products for "Air Coolers"
A fan not only keeps you cool but can also play a key role in complementing your home decor. At Snapdeal you can take your pick from a wide assortment of table fans, pedestal fans and ceiling fans for your home or office. In addition to fans with regulators, you can also choose from the range of air coolers available. A ceiling fan helps you beat the discomfort of a hot and humid day and keeps you comfortable. Table fans are utilitarian as they can be moved from one room to another and they would be perfect for drawing rooms or even dining rooms. For offices, table fans and personal fans would be the perfect choice. You may also opt for a table fan for your child's room. To ensure a good night's sleep, you may opt for an air cooler. The collection of fans and air coolers available at Snapdeal will surely leave you spoilt for choice. You may opt for one or more fans from brands like Havells, Khaitan, Bajaj, Crompton Greaves and more. Fans and coolers from renowned brands like these will ensure that you no longer have to feel uncomfortable at home on any hot day or night. While shopping for a ceiling fan at Snapdeal, you can select one from a wide array of colourful and aesthetically pleasing ceiling fans. Opt for fans with three blades or more, depending on your requirements. Three blade fans will be perfect for small to medium rooms while the fans with four blades are perfect for bigger rooms. Ceiling fans with lights attached are also available. These fans are good to look at and are available in a variety of colours that will surely complement the decor of your home. Those who are looking for table fans can opt for colourful personal fans, rechargeable table fans and more. Pedestal fans are also very popular. You can choose a pedestal fan on the basis of the blade size and the pedestal size. Some pedestal fans are even equipped with a remote. This makes it rather convenient as you will no longer have to manually regulate the speed. 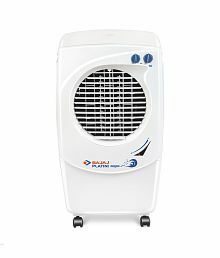 Air coolers are an excellent option for people who are wary of air conditioners. 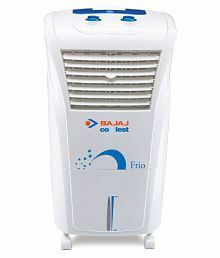 Air coolers are pocket-friendly and they do not require any complicated installation process. These are available in the form of jumbo coolers and tower coolers. 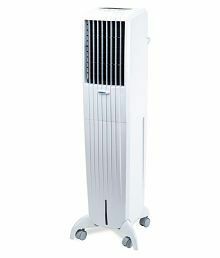 Air coolers are all plug-and-play devices and they do not require a lot of maintenance either. They consume less power than air conditioners and thus help you to cut down on your electricity bill. For your bathroom and your kitchen, you may select any exhaust fan. Snapdeal.com - Your hassle free online shopping site, offering best deals and discounts on countless number of items, along with cash on delivery and fast shipping. We also offer exclusive deals & discounts on latest models of washing machines, when you shop online from Snapdeal.com. Buy washing machines online at low prices in India. Check latest models and deals & offers on semi automatic washing machines, fully automatic washing machines, top load washing machines, front load washing machines available from top brands online at Snapdeal.